Super portable two-tier portable column keyboard stand able to support up to 250lb. A NAMM "Best In Show" winner, the APEX AX-48 Pro from Ultimate Support lives up to the company's name and the APEX line's reputation as a reliable stand. The AX-48 Pro offers everything keyboard players loved about the original APEX keyboard stand while offering a sleek new design and updated features that support a today's generation of keyboards and workstations. In seconds, the AX-48 Pro breaks down into a single, slender unit that's easy to transport and takes up very little room because its hollow column becomes its own carrying case. The legs remain connected and slide into and out of the base of the column, and the arms that support your keyboards are stored in compartments at the top of the column. This makes setting it up just as quick and easy. The APEX AX-48 Pro extends stage and studio performance by providing an Accessory Slot on the top of the stand. Simply pop off the Accessory Cap and install the optional AX-48 Pro Mic Boom (sold separately), for instance, and your keyboard stand is now ALSO a microphone stand. Look for more options to come in the very near future. Everything keyboard players have come to appreciate about the APEX keyboard stand for over two decades is still available in the new APEX AX-48 Pro. 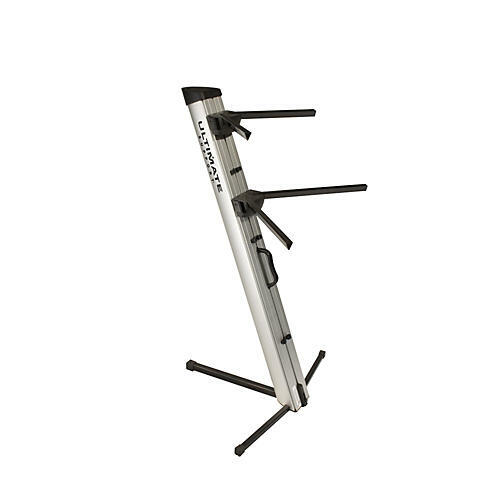 It's "the" original column-style keyboard stand that securely holds two keyboards out of the box (up to 125lb. each). The patented Tribar arms are height adjustable, the support legs are super stable, and it's incredibly easy to setup, tear down, and transport from gig to gig. Keep your prized instruments properly supported during performances in the studio or on stage. Order the AX-48 Pro today!